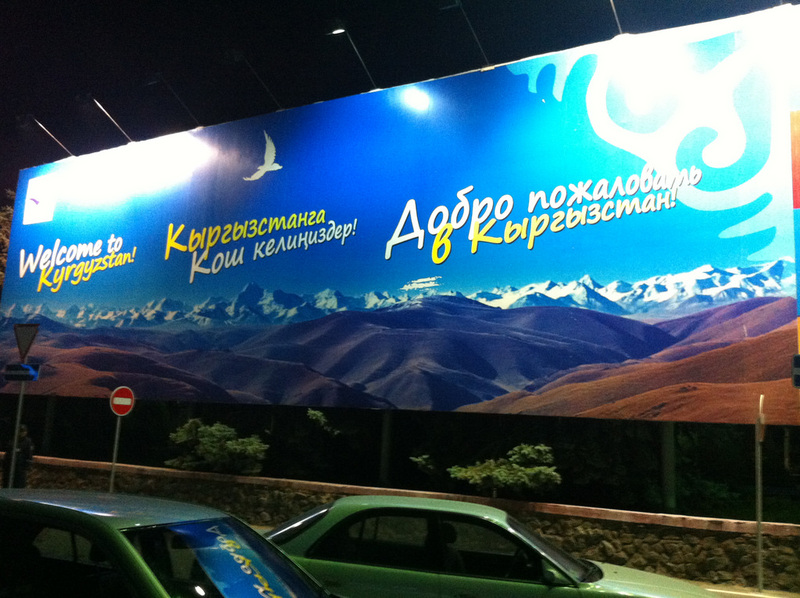 Talk in Kyrgyzstan of allowing tourists from China to visit without obtaining a visa has ignited heated public debate. On one side are those eager to capitalize on the fast-growing Chinese appetite for seeing the world. On the other are those afraid of Beijing’s creeping influence over the country. The proposal under discussion was made by member of parliament Makhabat Mavlyanova, who suggested that Chinese tourist who book tours through travel agencies should be allowed to enter Kyrgyzstan without a visa. Several other post-Soviet countries have beaten Kyrgyzstan to the punch. A 30-day visa-free regime between Belarus and China came into force in August. Kazakhstan simplified visa-processing for tour groups from China and allowed Chinese citizens to stay in the country for 72 hours without visas. And Russia is in talks with China over a mutual abolition of visas for tour groups. Kaktus news website has cited Mavlyanova as saying that her idea has met resistance from the State Migration Service and the State Committee for National Security, or GKNB, which are wary of an influx of unregistered workers entering under the guise of being tourists. Azamat Jamankulov, the head of the State Tourism Department, argued that changing the rules unilaterally would be redundant. “There is no need because the government is working on [including them into the] e-visa system,” he was cited as saying by RFE/RL’s Kyrgyz service. And yet, mutuality was not a requirement a few years ago, when Kyrgyzstan granted visa-free entry to nationals of 45 countries with advanced economies. None of those countries afford the same treatment to Kyrgyz citizens. It is unlikely that China would waive visas to Kyrgyz citizens. In fact, it toughened its visa policy after a terrorist attack on the Chinese embassy in Bishkek in August 2016. Many in Kyrgyzstan maintain an ambivalent attitude toward their large and powerful eastern neighbor. China is a major creditor and investor into the mining industry, as well as an important trading partner. And Kyrgyzstan hopes to reap benefits from being part of the Belt and Road Initiative. But there is also wariness about the extent of Bishkek’s debt to Beijing and fear that the repayment might be claimed in the form of land or natural resources. Writing on Facebook, political commentator Daniel Kadybekov described opposition to the relaxed visa regime as Sinophobic and narrow-minded. He said that Kyrgyzstan needs Chinese tourists and called fears of a Chinese “invasion” overblown. The Chinese have become the world’s biggest spenders on traveling. In 2017, a record 130 million Chinese traveled abroad, spending $258 billion dollars — more than any developed Western country. “Imagine what economic development Kyrgyzstan could attain if we hosted even 1 percent of all Chinese tourists. We could generate about $5 billion in revenues without selling our natural resources deposits and taking loans,” Kadybekov wrote.